Shop online for 3 welly-diecast at discounts up to 20%. 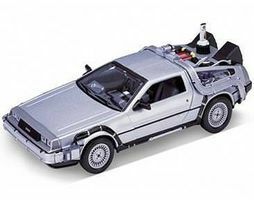 This is the 1/24 scale DeLorean Time Machine Back To The Future III (Met. Silver) (Re-Issue) Diecast Model by Welly Diecast Factory. 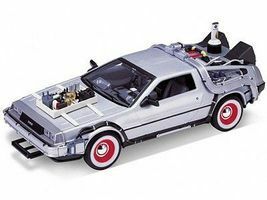 This is the 1/24 scale DeLorean Time Machine Back To The Future II (Met. Silver) (Re-Issue) Diecast Model by Welly Diecast Factory.